Quick trips few clicks I. Quick trips few clicks II. Quick trips few clicks III. Quick trips few clicks IV. Thursday is a great day for a nice pineapple based smoothie. Also you can use up the rest of the yoghurts from Wednesday with some blueberries or anything from the freezer. Pineapple something I really don’t like peeling :-S. And because it’s big I know I have a bit too much. But who cares when it tastes amazing! Twice in a month I do buy a small one and once I have it I know I will use (when it is out of season a tin is good but make sure it is not with too much added sugar). Also on a Friday I am normally out so it is good to have 2 portions. This one is the best when you need to wake up. 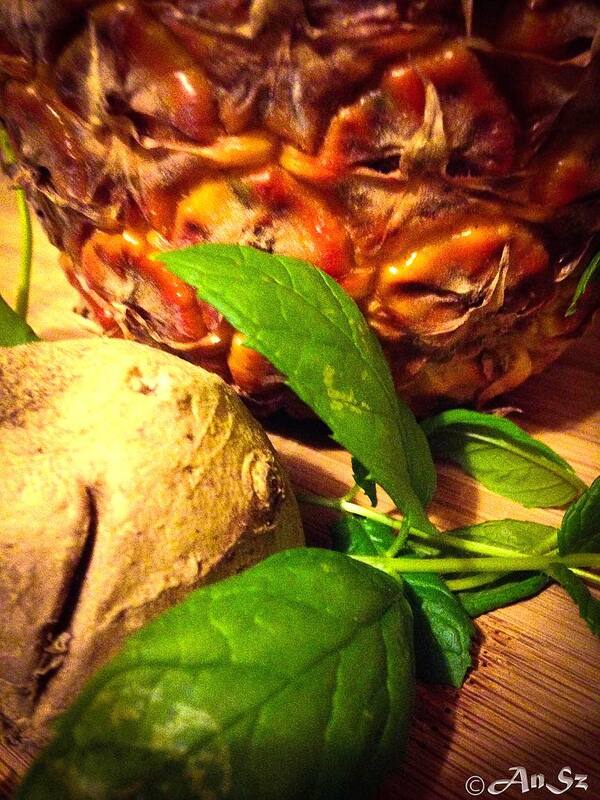 Pineapple gives you the sugar kick, mint is refreshing and ginger will give that nice tangy flavour. Sign up to get the latest update - Follow Blog!